ottomon gives any object the ability to communicate basic information. By placing an ottotag on an object, you allow people to communicate with you about the object. 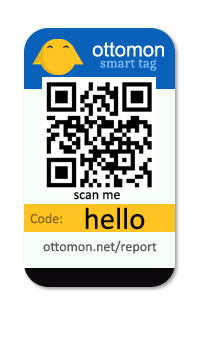 An ottotag is a QR code generated through ottomon that can be scanned by anyone to communicate about an object. How to create an ottotag? You can create an ottotag by first creating an account then clicking on the Create a new tag button. You can choose from a selection of tags already available or create your own custom tags. Once your have created your ottotags, you can go to My Tags page and click on print, to print your tag. You have the option to select the type of tags you want to use before you print it. Now that your ottotag is printed, you can place it on any object you want and when they are scanned, you will be notified. 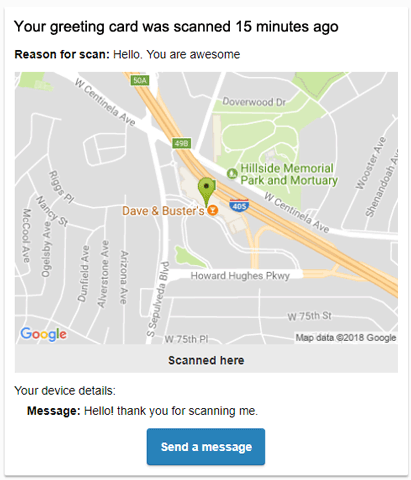 How to scan an ottotag? If you have additional questions please email us at iamottomon@gmail.com.